Lionsgate has unveiled a new poster for the upcoming sci-fi action movie, I, Frankenstein starring Aaron Eckhart, Bill Nighy, Miranda Otto, Jai Courtney, and Yvonne Strahovski. In a dystopic present, Victor Frankenstein’s monster, Adam, is caught in the battle between the virtuous gargoyles and beastly demons over the fate of humanity. As an immortal, Adam is the key to victory. 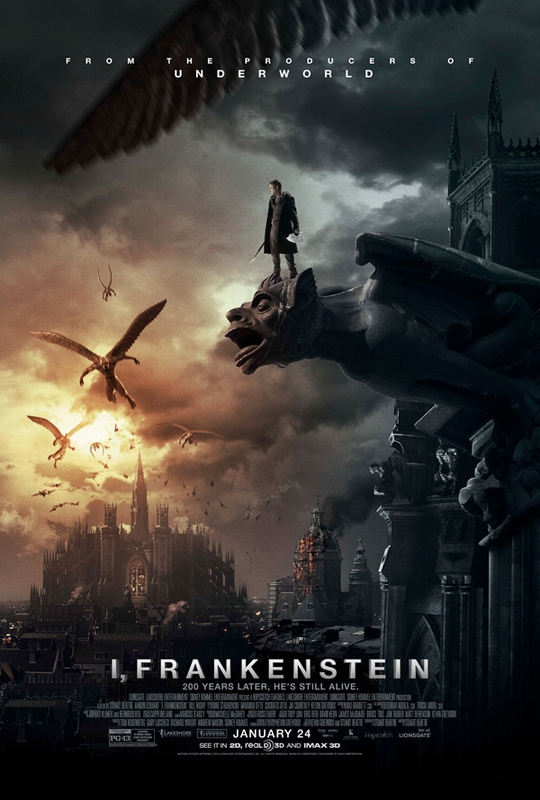 I, Frankenstein opens in 3D, 2D and IMAX theaters on January 24, 2014. Check out the new poster below!